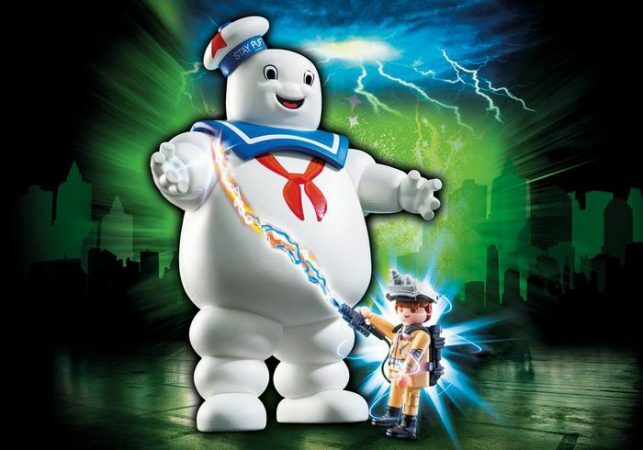 June 8th is National Ghostbusters Day and we’ve teamed up with PLAYMOBIL to share their new line of playsets inspired by the classic 1984 movie. 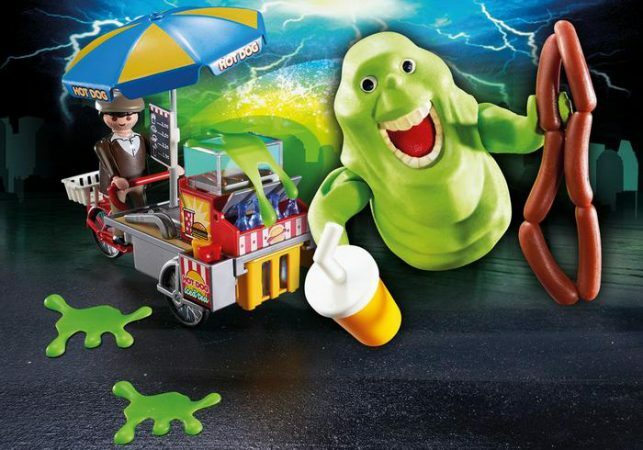 There are six different playsets featuring familiar settings and characters like the firehouse, the Ecto-1, the Stay Puft Marshmallow Man and more. Each set brings the movie to life and should be a must have for old and new fans alike. 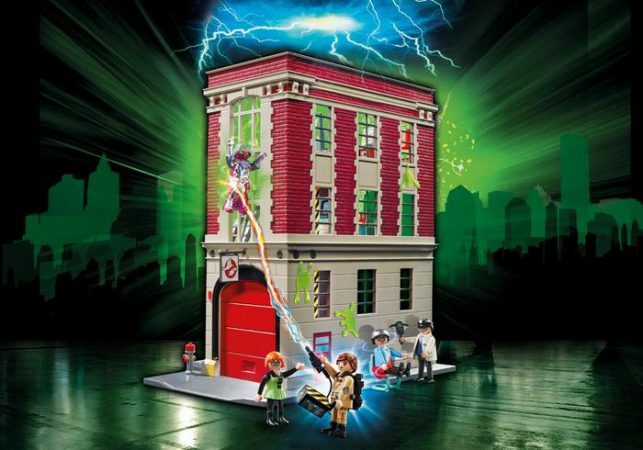 Let’s take a peek at each of the six PLAYMOBIL Ghostbusters playsets. I was actually lucky enough to check out and build my very own Ecto-1. It was incredibly easy to put together, in about 45 minutes. Everything fits conveniently into the Ecto-1 which makes it very easy to keep all the pieces together as well as displayed in your toy collection. The lights and sounds are an extra special touch. Seriously, this is one really cool playset! Something strange in your neighborhood? Call the Ghostbusters™ Firehouse! 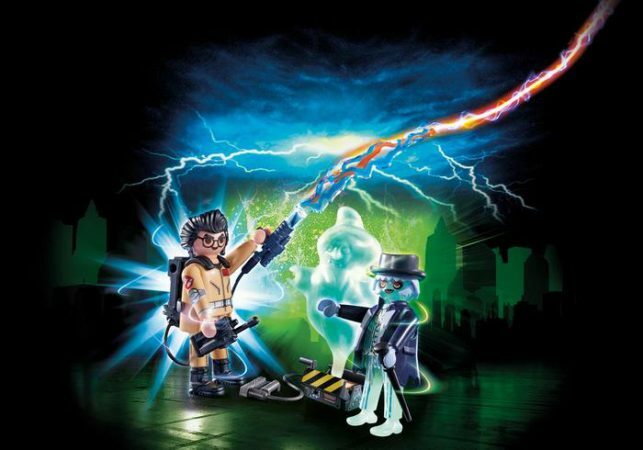 Here you will find Spengler mixing up his current ghost-fighting mixture in the lab, Stantz keeping a close watch on the Library Ghost, and Janine answering all your ghostbusting calls. When the call comes in, watch them race into action sliding down the fire pole to the garage. Here, the Ecto-1 (9220 – sold separately) can be parked inside for even more ghoulish action. And don’t forget to lock up all ghosts in the Ghost Containment Unit. 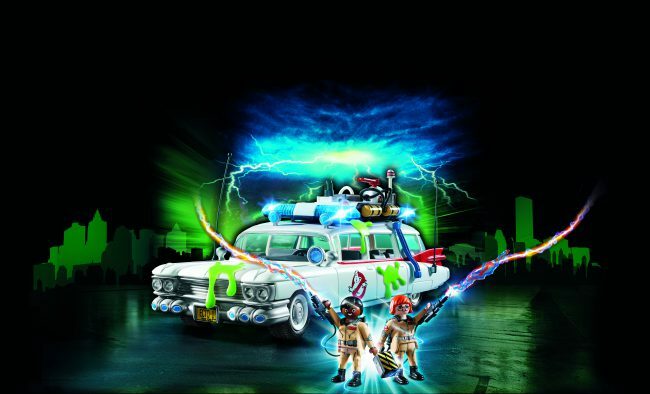 This set is packed with plenty of accessories for hunting down ghosts, including a detachable proton pack and proton laser, ghost trap, PKE meter for measuring psychokinetic energy, silicone slime splatters that stick to smooth surfaces, and more!